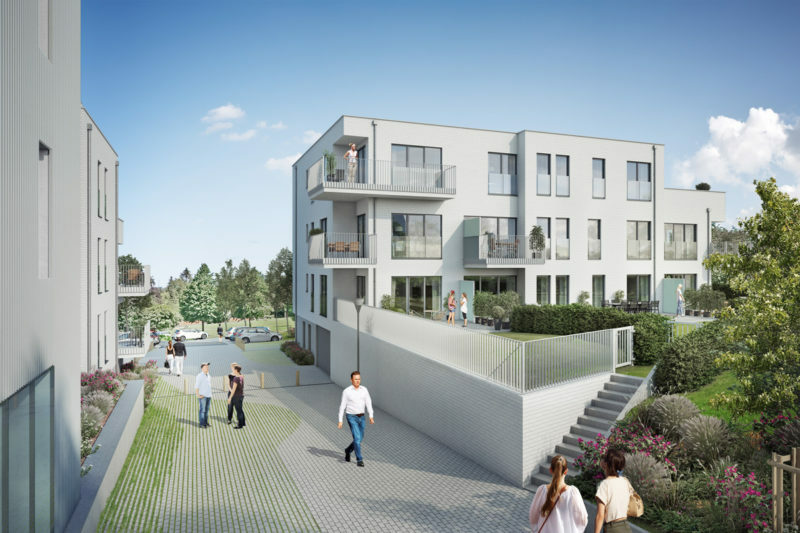 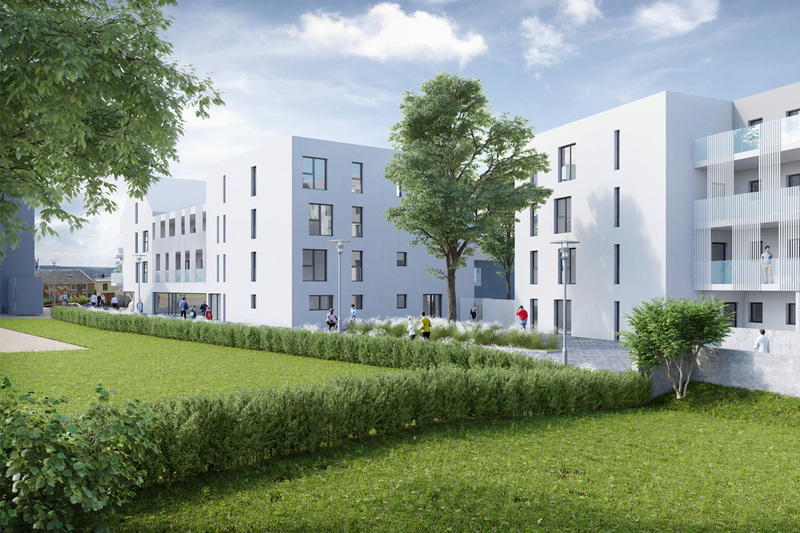 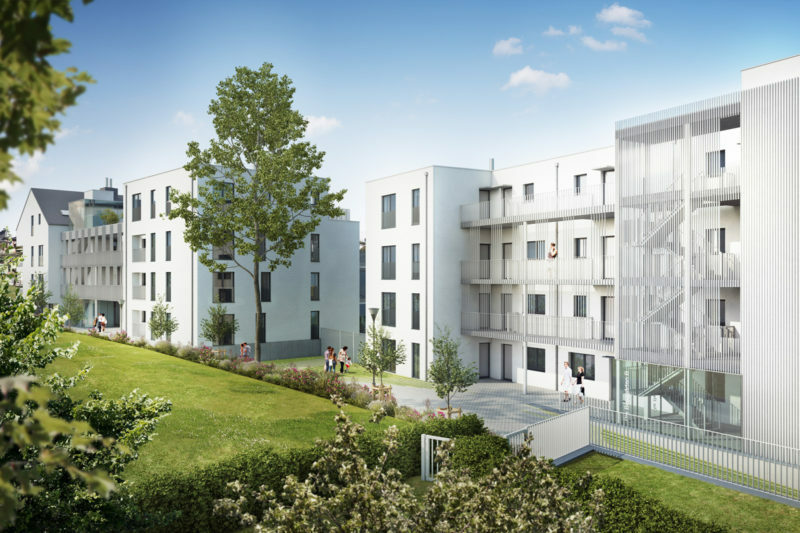 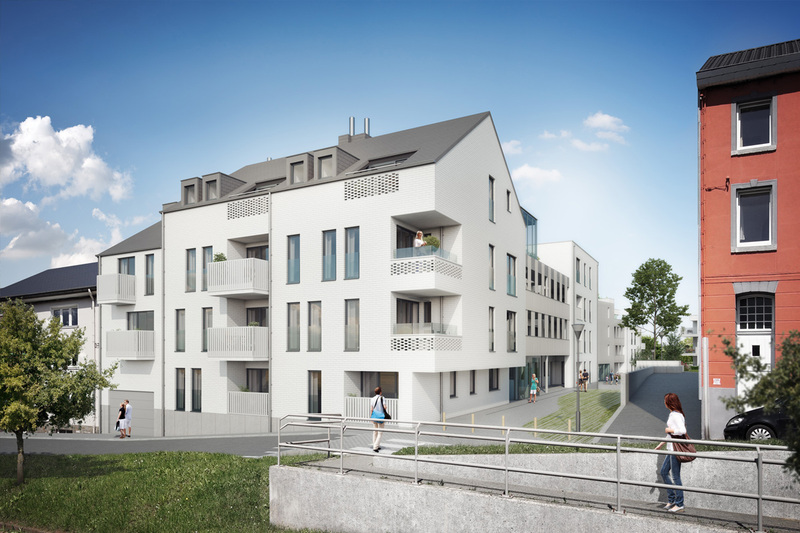 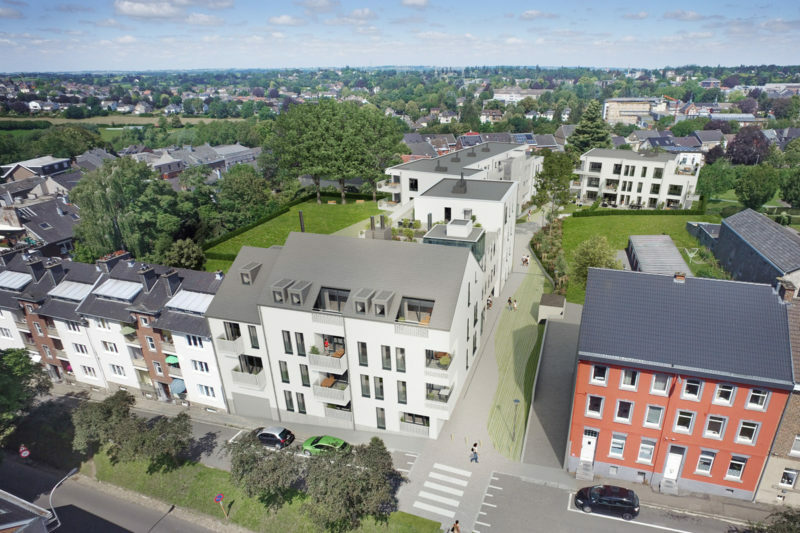 The residential project “Bergkapellstrasse” designed by projet ALTIPLAN°architects in collaboration with the two firms Pierre&Nature and Convents is located in uptown Eupen. 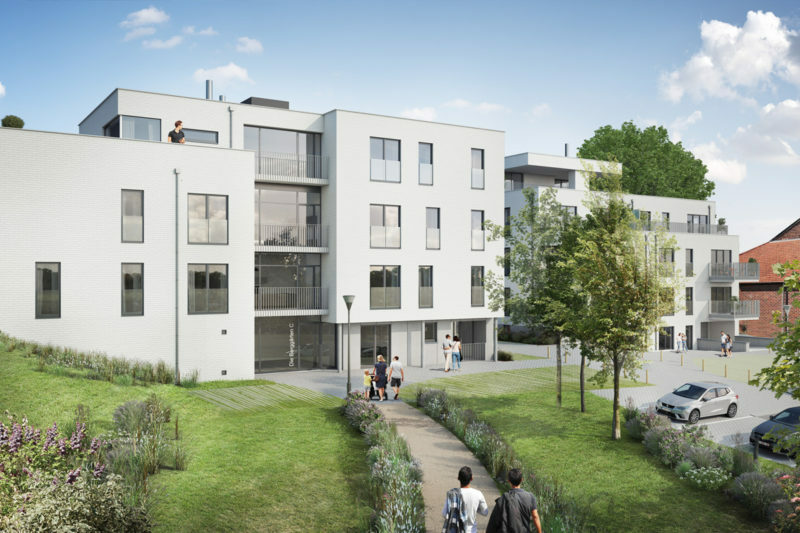 Close to the E40 motorway between Liege and Aachen, the city-centre location close to a public park is easily accessible. 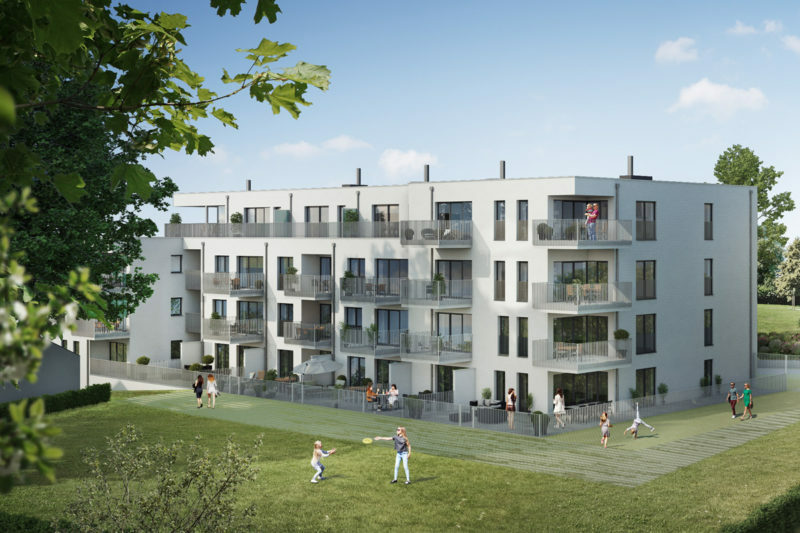 The project involves the construction of 56 upmarket apartments in a 3-building complex with views over the park and the city, underground parking for 80 vehicles and two multifunctional areas. 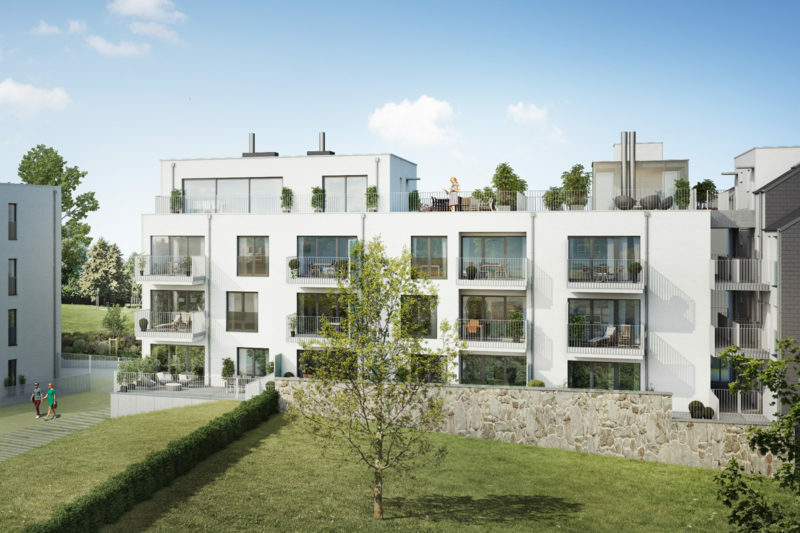 Full of light, the complex offers a wide variety of 1-, 2- and 3-room apartments with large terraces carefully arranged to offer maximum comfort to the future inhabitants. 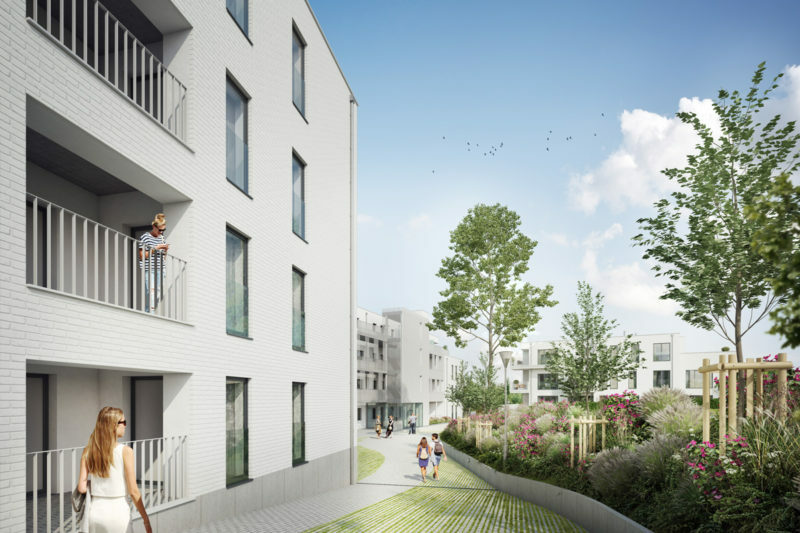 The project is in line with city authority efforts to breathe new life into the neighbourhood and create links between other neighbourhoods surrounding the park.